Need moving boxes, but don’t want to pay for them? The cost of moving boxes can add up quick. In fact, many people spend $100-200 just on moving boxes, and that’s not factoring in specialty boxes that cost more than your standard cardboard container. Don’t start plunking down cash for new moving boxes just yet. 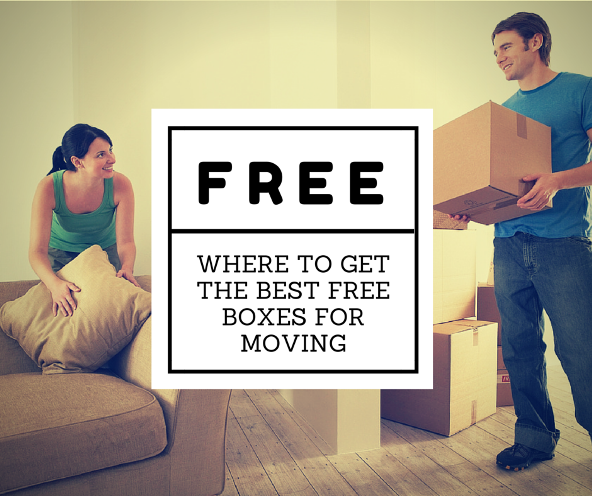 We’ve put together our top tips for finding the best free boxes for your move. Packing materials – packing paper, foam peanuts, etc. You also need a keen eye for good boxes. The best moving boxes have only been used once or twice and are made of thick cardboard. Avoid any boxes that have gotten wet since their structural integrity will be compromised. Another thing to consider is the time it will take to get the boxes. If you have to drive miles away or make numerous trips, the cost of the gas could be the same as buying new boxes. If you can’t get 5 or more boxes at once or it will be more than 30 miles one-way it’s usually best to keep looking. Cardboard is a regular in the recycling bin. It may seem like a dirty job, but because food and other waste aren’t included recycling bins they aren’t nearly as messy as garbage cans. Usually recycling dumpsters are blue or green, but they should all have the recycling logo somewhere on the outside. Another good place to look for used moving boxes a recycling center in your city, if there is one. Even though they may have spent $100+, most people don’t hang on to boxes after a move. It’s not uncommon for people to put up an ad on Craigslist and simply sit them out on the curb for someone else to pick up. Do keep in mind that when you see an ad for boxes you’ve got to get there quick, because free boxes will go fast. Know someone who recently moved? Ask if you can use the boxes to make your own move. Just make sure to ask if they would like them back once you’re done. Another place to pick up boxes is the local grocery store. Grocery stores regularly receive huge shipments of products that are packaged up in boxes. Once everything is out on the shelves usually the boxes get tossed. Try to figure out when the store gets their shipments so you can get down there shortly after. Just watch out for produce boxes because these usually get damp or could have held rotten food that makes the boxes soggy. Don’t have time to find free boxes? At Square Cow Movers we offer affordable rates on green moving containers. This helps us reduce the eco footprint of a move and help clients save money at the same time. We also offer a slew of affordable moving services throughout Texas. Give us a call to learn more!